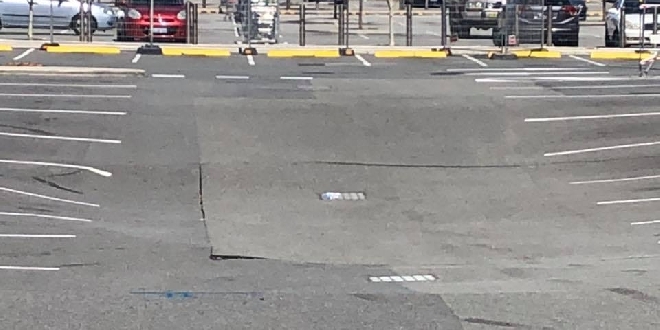 The cause of a large sinkhole that appeared in the car park of a Baldivis shopping centre has been revealed. The 20-metre sinkhole at Stockland Shopping Centre was first discovered on Saturday morning. Member for Baldivis Reece Whitby said it is believed to have been caused by the collapse of a storm water system under the bitumen. “I spoke to the State manager of the company at Stocklands yesterday, and at that point the company believes there’s been a massive failure of the storm water detention system, which is built under the carpark,” Mr Whitby told Seven News. Security guards have been stationed at the sinkhole for safety reasons. Shoppers have been advised to stay clear of the area until the sinkhole is fixed. "Engineers will be working as quickly as possible to fix the issue," Mr Whitby said in a Facebook post.